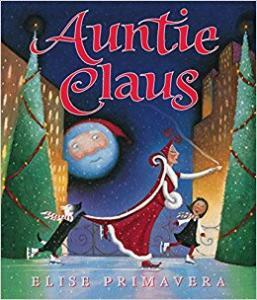 ELISE PRIMAVERA has illustrated more than twenty books for children, several of which she also wrote, including Auntie Claus and the Key to Christmas and Auntie Claus, Home for the Holidays. She illustrated Raising Dragons by Jerdine Nolen which received a 1999 Christopher Award and an Oppenheim Toy Portfolio Platinum Award. Elise Primavera lives in New Jersey.